Circlips are an inexpensive and easily fitted means of providing a rigid yet tough load bearing shoulder for: A shaft (external clip), A bore (internal clip) and are part of modern engineering. Circlips include E-Clips, Wire Rings, Snap Rings, and Grooveless Circlips. Conical washers that can be subjected to loads in the axial direction. Disc springs produce small deflection against relatively high forces, which utilise limited space. Disc springs can be designed to be assembled to achieve required load characteristics. 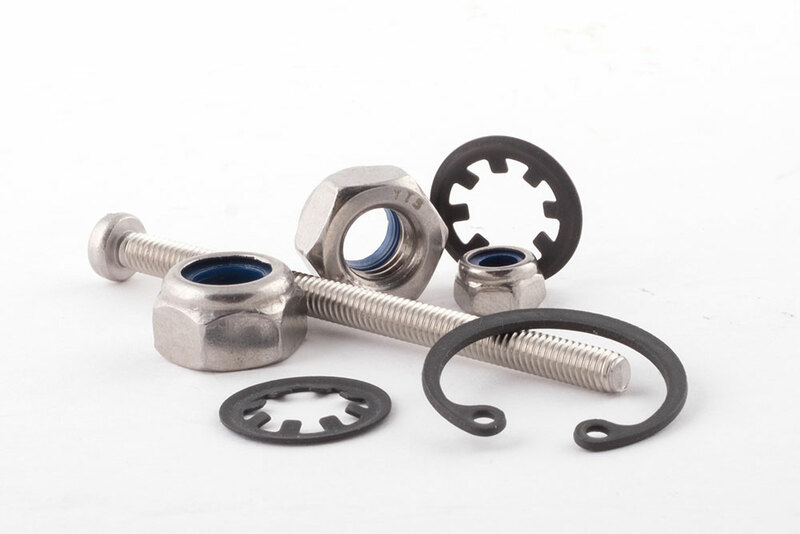 We distribute a vast range of industrial fasteners and associated components.